Toilets and cattle menace are two universal common grounds where supporters/rivals of the incumbent BJP and the Opposition mahagathbandhan cross swords while discussing electoral preferences. The graffiti is incidental then. Unlike the megapolises where graffiti culture thrives, the Uttar Pradesh landscape is dotted with some very basic graffiti that signal a big leap in behavioural change in rural north India. The hard-to-miss graffiti that adorn small brick-layered cubicles — latrines in local parlance, built with government grants — outside individual homes seek to cover up the story of limited means, of the complex socio-cultural underpinnings in the poorer parts. These stand outside homes because culturally it is either too big a leap to make space for a kitchen or toilet within the confines of same house, or it is too much to accommodate a cubicle of that size within the confines of their modest four walls. If you speak to them separately, their election talk will appear to be pointing to two different elections — one about immediate personal matters, the other on selfless issues far removed. In fact, the conversations seem to suggest that there are very few undecided voters weeks before the elections. “Bharat pehle kitna peechhe tha. Ab, chauthe sthan per pahunch gaya hai (India lagged behind earlier. It is now ranked fourth)” is one refrain that is heard across Aligarh, Mathura, Fatehpur Sikri, Hathras, Aonla, Nagina, Etah, Firozabad and Amroha Lok Sabha constituencies. One that suggests the respondent’s preference for the BJP. While Prime Minister Narendra Modi and his top ministers have been emphasising India’s emergence as the sixth largest economy, the “chautha sthan” response is common to a large number of Lok Sabha constituencies. Not a single person seems to be aware or bothers to elaborate this “chautha sthan”. A guess suggests that it could have something to do with the recent anti-satellite (ASAT) weapon test that made India the fourth country to have such a capability — after the US, Russia and China. Given the ASAT’s technical nature, “chautha sthan” is all that people remember. Then there descriptions of “honest government”, “strong government”, “daring government”, “Modi is good”, “government in national interest”, “government that raised India’s stature globally”. These are the selfless, far removed issues that BJP supporters relate to when they are not in a group that includes supporters of the mahagathbandhan or Congress. These are raised more by BJP supporters among the upper castes. 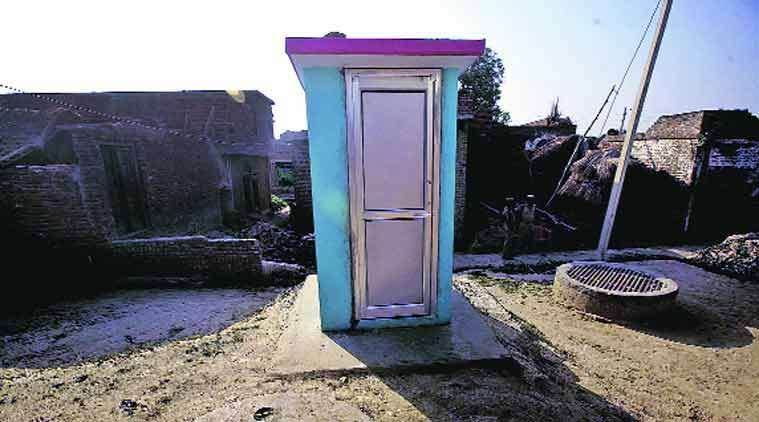 In rural constituencies, party supporters are more vocal about the immediate — latrines, LPG cylinder and houses. Yet the immediate, the delay over it, is also the reason for disenchantment with the BJP, nudging people towards the mahagathbandhan. “There was a drive to make villages along the Ganga open defecation free. I was denied government grant for latrine construction because I am a Yadav,” said Pawan Kumar Yadav as he harvested his mustard crop on a small parcel of land at Beladandi village in the Dataganj assembly segment of Aonla Lok Sabha constituency. This was his justification for a return to his traditional voting choice. In 2014, he had voted BJP. His community members too levelled allegations of Yadavs being discriminated against under the BJP government. Dalits refer to the BSP’s alliance with the SP to justify their voting preference though some said they voted for the “Modi wave” in 2014. “Had it not been for the protests on April 2 (2018), the BJP government would have abolished reservation,” said Charan Singh, a Jatav who is a vegetables vendor in Gajraula market in the Amroha Lok Sabha constituency. Apri l, 2018 saw Dalits protesting against what they thought was dilution of the SC/ST law by the Supreme Court, prompting the government to bring an ordinance to nullify changes. Although “polarisation” remains their concern, Muslim respondents in Amroha, Bijnor, Nagina, Rampur, Moradabad and Sambhal cite demonetisation and GST impacting their immediate livelihood as reasons for their voting choice. “Their noteban and GST hit our business,” said Asif, who is in his 30s and supplies small sheet-work home-décor items to businesses and traders in Moradabad. He is from Bhikanpur in the Sambhal Lok Sabha constituency. Those moving away from the BJP also cite examples of rising prices, cost or LPG, fertilisers, declining farm produce prices and troubles related to Aadhaar-linked paperwork as immediate concerns. This is in contrast to those rooting for the BJP and Modi. When together, the supporters of the incumbent and the Opposition cross swords on issues like alleged corruption in disbursal of grant for toilet construction and the cattle menace. Their views, on either side, on both these issues are coloured by their voting preference. But on the latrines, there’s no dispute. It is in use, they say. A big leap across the political divide.